The GAO’s decision in OBXtek, Inc., B-415258 (Dec. 12, 2017) involved a DHS RFQ for cybersecurity support services. The RFQ was issued to holders of the GSA’s OASIS Small Business (Pool 1) IDIQ contract. The DHS set aside the order for SDVOSBs. After evaluating quotations, the DHS announced that it would make award to Analytic Strategies, LLC. OBXtek, Inc., an unsuccessful competitor, subsequently filed a bid protest at the GAO. OBXtek argued, in part, that Analytic Strategies had misrepresented its SDVOSB status in order to compete for the set-aside RFQ. Specifically, OBXtek contended that Analytic Strategies had been acquired by another company in August 2016, and was not an eligible SDVOSB at the time it submitted its quotation in mid-2017. OBXtek conceded that the GAO doesn’t have authority to determine whether a company is an SDVOSB. However, OBXtek argued that Analytic Strategies’ SDVOSB eligibility wasn’t at issue. Rather, OBXtek argued, it was asking the GAO to determine whether Analytic Strategies had made a material misrepresentation in its proposal by expressly certifying that it was an SDVOSB. And, as OBXtek pointed out, the GAO ordinarily has the ability to determine whether an offeror made a material misrepresentation in its proposal. 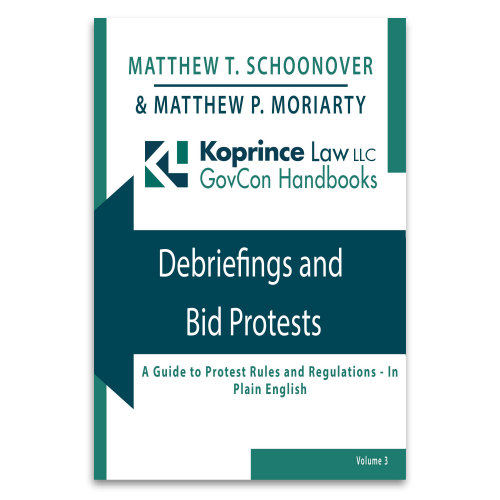 Here, “[w]hile the protester may be correct in asserting that allegations of a vendor submitting a quotation with a material misrepresentation is within our Office’s jurisdiction, the issue as it is here, of whether a vendor is an SDVOSB (and eligible to compete under a set-aside) is a matter within the jurisdiction of the SBA.” In other words, determining whether Analytic Strategies had made a material misrepresentation would require GAO to determine whether Analytic Strategies was (or was not) an SDVOSB–a determination that the GAO is not permitted to make. The GAO dismissed this portion of OBXtek’s protest. As I was reading the case, I kept wondering–why did OBXtek protest to the GAO in the first place? Ordinarily, the answer would be simple: the company was confused by the nuanced jurisdictional rules of federal bid protests, and simply filed in the wrong place. But OBXtek, by advancing its creative argument, seemed to understand that the SBA was the right place to file an SDVOSB protest. So why not file there? I can only speculate, but it’s possible that OBXtek didn’t think that it could file a viable SBA SDVOSB protest. 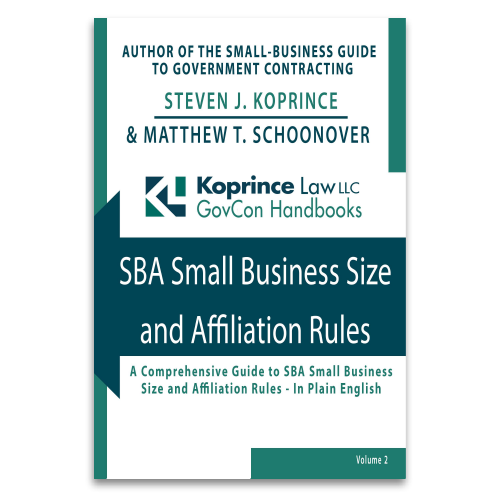 Under the SBA’s SDVOSB regulations, a company that qualifies as an SDVOSB at the time of initial offer on a multiple-award contract ordinarily is considered an SDVOSB for the life of that contract, including “for each order issued against the contract.” There are exceptions to this rule, but if none of them applied, Analytic Strategies might not have been required to be an SDVOSB at the time of its quotation on the DHS order. If my speculation is correct, OBXtek’s protest might have been an effort to circumvent this rule. Regardless of the reasons why OBXtek took its case to GAO, the OBXtek, Inc. decision is an important reminder: the GAO cannot determine SDVOSB eligibility. For most non-VA acquisitions, SDVOSB determinations must be left to the SBA. This entry was posted in GAO Bid Protests, Service-Disabled Veteran-Owned Small Businesses and tagged IDIQs, SDVOSB eligibility, SDVOSB Protests, Small Business Act, Task Orders. Bookmark the permalink.